Moving: In this week alone I have not only graduated college, but also moved into my first apartment! I lived on campus in different dormitories for all four years, so this apartment brings many "firsts:" my first big-girl bed, my first kitchen, and first walk-in closet, just to name a few things! As excited as I am to have all of the little luxuries of adult life in my new home, moving itself isn't very fun. As I am still recovering from my concussion, I have to take unpacking and organizing one day at a time, so things are coming along slower than I would have liked. I'm hoping to still keep going strong by doing a little more unpacking with each day! 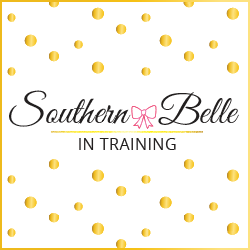 Something for the blog: Be sure that you're following me on Snapchat @miss_alk, because this evening after work I am starting on something new and exciting for Southern Belle in Training! I have been planning this for awhile. A shout-out to my other job: I've mentioned this before on here, but my "day job" for the past few years during the school year has been working part time as a babysitter for some wonderful Charlotte families. I am excited to continue babysitting this year while I am in Broadcasting school , and currently my jobs from the school year are still going on. I had to take a few weeks off of work unexpectedly after the concussion (mainly since I couldn't drive! ), but this week was my first week back to work. In the time that I was gone from the families that I work for, two of the girls that I watch had found my blog. :-) I had a very fun afternoon yesterday going through some older blog posts with them and answering a lot of questions about blogging! I am truly blessed to currently have the two best jobs in the world: babysitting and being a blogger! Blogging meet-up: I am the Regional Coordinator for North Carolina for the the InfluenceHer Blogger Network (formally the Her Campus Blogging Network), and every 1-2 months I try and plan fun blogging meet-ups for local Charlotte and North Carolina bloggers and members of this region of the IHC! We have our next meet-up this weekend. If you are a local Charlotte or NC blogger, please email me ASAP, I would love to invite you to our event! These fun shorts will be on the blog soon, and I am looking forward to wearing them this summer as well! They're a perfect way to add a nautical touch to a summer ensemble. Fuschia has become one of my new favorite colors to wear over the past couple of years. When I saw this bright top, I knew that I had to have it! I need to admit that over the past weekend, in a very short amount of time I spent a scarily large amount at a discount home goods store near my apartment. #FirstApartmentProbs haha! I purchased everything from bedroom accent pillows to bar stools for my kitchen! This pillow looks very similar to one of the accent pillows that I bought- I can't wait to share a bedroom tour on the blog next month! Congrats on graduating and moving into an apartment! So excited for you and all your accomplishments! Congrats on graduating and your big move!! I agree...moving is NOT fun! After my husband and I got married in August, I moved in but then jumped back in to a new school year. I never actually finished packing completely and my closet/office room is still filled with boxes and rubbermaids. Planning on tackling this as soon as the school year is over! I swear moving is stressing me out so much too! Yay! Followed you on Snapchat! 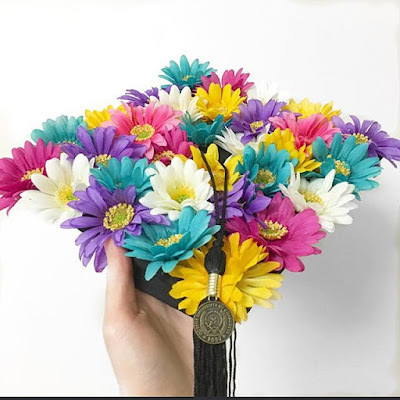 Congrats again on graduating! So jealous of your walk in closet and can't wait to see you on Sunday! I'm happy you're feeling a bit better and how exciting about the apartment! Ah! Congratulations on your first apartment, that is so exciting! There's nothing quite like having a place to call your own and decorate how you like! Your first apartment is always an amazing experience. Added you on SnapChat. Really not familiar with the platform, excited to learn! I'm so glad you're feeling better & I absolutely cannot wait until you have your cute apartment all done so you can give us a "tour"! Congrats on your first apartment! I hope the unpacking process is over as quickly as possible.